Scientists are supposed to be upright and honest and largely immune from bias – as least deliberate bias. However, the problem is that scientists are human like the rest of us. That means, of course, that they are not at all immune from the sometimes very strong temptation to bias their experimental results. Sometimes the bias is unconscious and may even be collective – a shared bias among many scientists. However, sometimes it is quite deliberate and outright fraudulent. A striking example of a sensational fraud in science is the case of Professor Reiner Protsch von Zieten, “a distinguished, cigar-smoking German anthropologist.” (Link) Back in 2005 it was discovered that Professor Protsch was systematically making up data out of thin air regarding the ages of various human fossils and “stone age” artifacts. During the subsequent investigation it was also discovered that professor Protsch was unable to work his own carbon-dating machine. He was truly just making up the numbers as he went along in order to make himself more famous, and of course make more money (for discovering older artifacts than anyone else). Even his aristocratic title, “von Zieten” was found to be bogus. The professor was actually the son of a Nazi MP – Wilhelm Protsch. The point is that these aren’t isolated cases in the history of science. Why then are scientists so easily tricked? Because, like the rest of us, when a “discovery” seems to match the pre-existing belief system scientists are very likely to accept it as “real”. And, they are therefore much less likely to test it in an effort to falsify the claim. Even now, scientists do not wish to subject their theories to all the available test that might be performed. Why not? For example, back in 1997 the sensational discoveries of Mary Schweitzer of delicately preserved soft tissues and sequencable proteins, even fragments of DNA, within dinosaur bones, was truly remarkable – and completely unpredictable given that scientists had previously argued that all traces of soft tissues, proteins, and DNA would be completely wiped out within less than 100,000 years (Link). This claim was supported by fairly convincing kinetic chemistry experiments that showed that proteins exposed to temperatures not much higher than that within the average refrigerator would result in their complete decay within relatively short periods of time – certainly well before the 60 plus million year ages assigned to dinosaur bones (Christina Marsh, 2002). Yet, there they were – intact soft tissues that were still elastic and included cellular structures like red blood cells and osteocytes as well as sequencable proteins and even fragments of real dinosaur DNA. Of course, Schweitzer went on to show that if soft tissues are soaked in iron-containing media, like blood extracts, that they survive a lot longer (Schweitzer, 2012). These experiments are interesting and may explain how tissues in Egyptian mummies can survive a few thousand years. However, they don’t explain away the kinetic chemistry findings, which means that their survival for tens of millions of years is still quite a mystery from the mainstream perspective. Consider that Schweitzer compared the effect of iron-generated soft tissue preservation to formaldehyde-based tissue preservation. The problem with this comparison is that even formalin-preserved tissue, even in paraffin-embedded blocks, is known to decay over time. As with formaldehyde-based embalming, preservation is not permanent. It is also known that the decay rate for formalin-fixed tissues is primarily influenced by both temperature and humidity, with both acting independent of the other (Xie, 2012; Broek, 2000; and Cronin, 2007). What is also very interesting in this regard is that Schweitzer and other mainstream anthropologists refuse to subject their dinosaur bones to carbon-14 dating techniques. When Schweitzer was asked in a letter when she would perform carbon dating on the soft tissues she obtained from dinosaur bones she responded curtly, “Not now” (Link). Yet, these experiments have been performed numerous times by others who question the mainstream story that dinosaurs are many tens of millions of years old. The fact is that high levels of radiocarbon have been found, by the accelerator mass spectrometry (AMS) technique, in dinosaur bones whenever they have been tested – producing ages ranging from 16,000 to 32,000 years (Link, Link). In fact, this age range is essentially the same as that for mammoths and mastodons. Even so, Schweitzer and her colleagues have consistently refused to subject their own dinosaur tissues to radiocarbon dating by AMS. What are they afraid of? – having to publish results that completely counter the Darwinian notion of the origin of life on this planet? – and call into question the whole mainstream “science” of dating the fossil and geologic records? So, while we should each consider and evaluate our own biases, it is good to remember that scientists are no more immune from bias than anyone else. For me, this means that I need to do a bit more of my own investigations into the claims of scientists – especially when their claims have a direct impact on the actual truth of those things that are very important to me. This is so sad but not surprising. One can add to this article the intimidation at universities of creationists, and even the threat of not graduating those who hold creationist world views. And even the governments’ educational systems support these frauds one way or the other. I guess the devil must do his work of obfuscation and deceit. Unfortunately some of humanity will learn the truth too late. Sean, it is interesting that so far, every dinosaur bone that has been subjected to C14 analysis has yielded a C14 age that is under 40,000 years BP. And the fact that these bones have come from many different sites and have been subjected to rigorous precautions all but precludes contamination from nature or the laboratory. Although many scientists are loath to admit it, carbon 14 dating is now squarely on the side of creationism and flood geology. That does seem to be the case… at least to the point that it deserves investigation by mainstream scientists. It’s just interesting to me that they simply won’t subject their specimens to radiocarbon dating because they already know the “right” answer. Case in point your citation with aprobation the http://www.dinosaurc14ages.com/carbondating.htm a site which as far as I can see is silent on the identity of its protagonists who as far as I can see have no clue on C14 dating limitations. I am sure you are familiar with the issues of C14 dating after many half lives and know that there are sources of C14 from Uranium-thorium decay which affects the ability to use C14 for coal dating. You claim of knowledge on this point is suspect. Just look at wiki and talk origins on C14 dating. When you unthinkingly parrot the claims of dinosourc14ages and cast aspersions on Mary Schweitzer because she does understand something about C14 dating beyond 80000 years I have to critically appraise your claim of great knowledge attained over 20 years of intense study. There is far far too much radiocarbon in these samples of dinosaur bone to be explained by either contamination or uranium-thorium decay (production of non-atmospheric C14). These “talk.origins” and “wiki” arguments of yours are nothing new (Link) and they simply don’t hold water when it comes to explaining the origin of such high levels of radiocarbon. We aren’t talking about C14 dating beyond 80,000 years here. We’re talking C14 dates that are well within the detection spectrum of AMS techniques – well less than half that “age”. And, as Dr. Giem noted back in 2010, “It is difficult to imagine a nature process contaminating wood, whale bone, petroleum and coal, all roughly to the same extent. It is especially difficult to imagine all parts of a coal seam being contaminated equally.” See also my 2010 discussion with Erv Taylor on the potential and limitations of radiocarbon dating here: Link. But, please do inform me of my inability to appropriately read and understand the available “literature” that you cited here and why Schweitzer should be excused for not subjecting her dinosaur bone specimens to C14 analysis and publishing the result? Mea Culpa. I see that you indeed have previously dispatched the experts if not the arguments of the experts and seem now to accept the word of another MD and unnamed bloggers possibly Ivanov and Kouznetsov and their accolytes who do not recognize any of the limitations of a technique that users and developers such as Taylor and Gove would recognize. There is a good discussion on the background of old carbon in the context of the Borexino project by Gove and colleagues. The goal of the old carbon project is to measure the ratio of 14C to 12C in methane at levels below 10−18 by accelerator mass spectrometry (AMS). This research is chiefly motivated by the need for very low background raw materials (methane, petroleum) to manufacture scintillator fluids for large volume neutrino detectors, particularly for solar neutrinos. The 14C activity in such material, introduced by the radioactivity of the reservoir rocks, cosmic rays or later handling, limits the low-energy sensitivity of the neutrino detector. This paper reviews the scintillator requirements for low-energy neutrino observation in terms of the 14C/12C ratio, as well as earlier AMS and decay counting measurements of this ratio at the 10−18 level. Recent experiments to determine the limitations of the heavy element line on the IsoTrace spectrometer for these ratio measurements are reported; analysis of the data obtained to date indicate a maximum interference limit of 14C/12C ≈ 10−19. This progress report will also mention some methods for reducing this interference further. Production of 14C deep underground can occur through nuclear reactions involving neutrons and α particles emitted by the surrounding natural radioactivity. The neutron flux deep underground originates chiefly from (α,n) reactions on Al, Mg, Na and other elements in the surrounding rock. The uranium and thorium decay chains supply most of these α decays (neutrons are also emitted in spontaneous fission of uranium). Consequently, it is the abundance of uranium and thorium in the rock containing the petroleum that governs the abundance of 14C therein. This does not at all provide support for a scientific model that all these animals are 4000 years old. I don’t think you understand the argument. Of course very small amounts of C14 can be produced by the radioactive decay of uranium and thorium in rocks close by. That’s not the problem or the relevant question. The real question is, how much C14 can be produced by this method? And, why would this source of C14 production be so uniform? As I’ve already suggested to you, your argument that C14 production by uranium and thorium explains very high C14 levels within dinosaur bones equivalent to ages of 15-35 kyrs simply doesn’t seem like a tenable argument. Is there remotely enough uranium and thorium scattered in a fairly uniform manner all over the world to generate that much C14 underground? That’s a pretty big pill you’re asking me to swallow don’t you think? – especially given that a level of less than 20 parts per million of uranium and thorium was detected in the dinosaur bones that contained large quantities of radiocarbon? (Link) Beyond this, turning 12C into C14 by neutron capture isn’t very easy to do. In fact, nitrogen creates carbon-14 from neutrons “110,000 times more easily” than does carbon. This dramatically increases the amount of uranium and thorium that would be needed to produce all the necessary C14 to make your theory tenable. For example, to produce a C14 age of 40,000 years we need a ratio of 14C/12C equal to about 1e-14. As best as I can tell, producing this ratio would require 125 atoms of uranium per carbon atom, which is a concentration by weight of 99.96% uranium (Link). Also, according to your arguments, C14 dating would be pretty much worthless beyond about 10,000 years due to all the extra C14 being produced by uranium and thorium underground. No one believes that. So, how then can C14 be used on the one hand to “reliably” date mammoths and mastodons and the like as living some 10-35 kyrs ago, but when these same levels of C14 are discovered uniformly throughout thick coal beds or all dinosaur bones examined thus far it must have been the result of non-atmospheric C14 production? 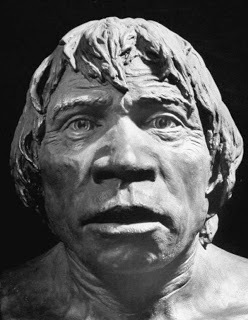 A 14C/12C ratio of only 1e-15 corresponds to a ~60,000 yr age for a specimen. We’re talking about less than half that age or more than twice as much C14. I’m sorry, but yours seems like a self-defeating argument even without knowing how much uranium and thorium would be needed. It just doesn’t make sense to me. Do you see the problem I’m having here with your argument? Or, do I need to read more talk.origins or wiki articles to figure it out? As far as Schweitzer’s discoveries are concerned, I’m not sure of the significance of your point when you argue that no “collagen reactivity” was detected in response to collagenase in the dinosaur soft tissues? In her 2007 paper (Link) she did in fact note that, “antibody reactivity was significantly decreased after we digested dinosaur tissues with collagenase.” However, even if this wasn’t the case, so what? The really amazing thing is that there are soft tissues at all – to include sequencable antigenic proteins and even fragments of DNA in dinosaur bones dating from 60Ma to more than 150Ma (Link). Just a few years ago science had shown, by kinetic chemistry experiments, that such soft tissues and proteins should have been completely degraded within less than 100 ka. The current argument that iron helps to preserve soft tissues like formaldehyde doesn’t really solve the problem of protein kinetic chemistry decay. Paul, if the C14 data for dinosaur bones yielded C14 dates beyond 80,000 years, I would agree that it should be ignored. But that is not the case. As Sean points out, the C14 ages for dinosaurs are the same as those for large Pleistocene mammals. Should we ignore C14 dating for mammoths, mastodons, dire wolves, etc? Any idiot with the necessary money can send a sample to the lab and will get a number. It is the understanding of the assa, its interpretation and its limitations that tells you the difference between those with understanding and those with confirmational bias. What do the labs actually doing the AMS assays say on the limitations of the assay? “The practical background detection limit for radiocarbon dating by liquid scintillation counting (LSC) or AMS has long been argued and researched. Beta Analytic has set a real and conservative limit of greater than 43500 BP when the activity of the material is statistically the same as the background. This is a credible number based on the lab’s own internal AMS limits. As such, Beta Analytic does not quote finite ages in excess of 43500 BP. Samples that yield an activity at or below this are reported as “greater than” 43500 BP”. In this post Sean has rightly pointed out that there is a temptation for scientists with a pet theory to skew results to fit their own prejudices. C14 dating of dinosaurs coal or petroleum that give results at the limits of detection where non-atmospheric sources of C14 become significant is a prime example of this. It is like me using LMP-1 antibodies to detect EBV in tissue biopsies of Hodgkins disease and saying that EBV is the cause of all hodgkins disease because I can find more than one cell with LMP antibody staining in more than 30 sections of tissue for every case examined. just as there is for AMS labs. Not surprisingly one is not seen as a good scientist if one completely disregards the guidelines for proper use of any assay. 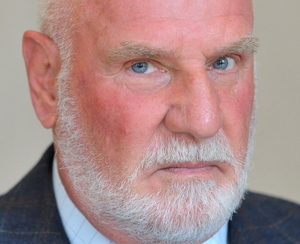 Mary Schweitzer understands this Thomas Seiler does not. It seems rather self serving to criticize her for for not accepting your own level of ignorance as the de jour standard as Sean seems to have implied in parroting the sentiment of the dinosaurC14age website. Consider also that most AMS laboratories have a bit higher cutoff for what they consider to be reliable radiocarbon dating than does the Beta Analytic Lab. For example, in the UCI AMS system (Erv Taylor’s lab), “graphite gave instrument backgrounds of 0.020 to 0.035 pMC, while natural diamond gave 0.005 to 0.02 pMC” (Taylor and Southon, 2007). The ability to detect a level of C14 from 0.02 to 0.005 pMC (percent modern carbon) is equivalent to an “age” detection rage of about 70,000 – 80,000 years. And, the Fourth International Radiocarbon Intercomparison (FIRI) “included identical samples of very old wood with a radiocarbon content of about 0.2 pMC (~50,000 years of age). The mean value measured by over 30 AMS laboratories was 0.27 +/- 0.05 pMC for Kauri wood sample A and 0.24 +/- 0.04 pMC for Kauri wood sample B.” (Link). This potential accuracy of AMS technology when it comes to measuring small amounts of C14 is backed up by experiments done by Taylor and Southon where multiple cuts of a single diamond produced a very narrow range of apparent ages – apparent C14 ages ranging between 69-70 kyrs. Yet, the range measured, in the very same machine, between different diamonds was 68-80 kyrs. On top of this, it is very interesting to note that Taylor and Southon also point out that their AMS system is routinely and reliably tested by running the system with no sample in the aluminum sample holder. This test is the basis for the value of the ultimate AMS detection limit, about 0.0005 pMC, corresponding to about 100,000 C14 years. 1] Most labs accept that C14 is a method for archeological not geological times. It has no value or reliability for aging diamonds, coal petroleum or fossils. This is the common knowledge and there are cogent reasons for this. That you and others with vested interests but no expertise should question this is not surprising given the historical precedent of creation science. 2] To state the obvious it is based on logorithmic decay of C14. A 1% change in pMC at 30000 is dramatically different to a 1% change at 1000 years. You can do the maths. Changes in background or contamination are significant at the the bottom of the decay but largely irrelevant at the top. Once you get to the bottom of the decay curve analytical precision and instrument and environmental contamination is a problem as the paper from Taylor you cite shows. 3] the pMC is given relative to 1950 (before the distortions of atmospheric nuclear tests) and a modern standard Oxallic acid as well as a negative source is used. The problem is of course the “infinite” age sample that gives the bottom of the decay curve. inorganic carbon has been used including Graphite coal and diamonds. Diamond was used by Taylor because of its physical properties and origin deep in the earths crust which suggests there is absolutely no atmospheric C14. With AMS there is detectable C14 such that an age of 80000 years could be assigned on the curve calibrated in modern times based on decay in organic materials. Bottom line is all C containing materials has detectable C14 by AMS; even those assigned “infinite” age. 4] yes indeed you cannot date some early Pleistocene animals. At the bottom of the curve they become indistinguishable from infinite age samples. a] Why do you need to state the site at which the sample was collected to get a reliable dating by C14? b] Why do all AMS laboratories and Mary Schweitzer not use C14 dating for dinosaur fossils. Are they hiding something? c] Do you think the dating of dinosaurs at 30-60000 years is reliable? d] What do you think this says about the time of the flood? Could it have been 40000 rather than 4000 years ago? e] The biblical account says that man was present contemporaneously with all animals within the first 1 week of the creation of life. How do you then interpret the geneologies to get 40000 years? It is much more compelling to have a cogent model of your own rather than simply existing to criticize everyone else. What “cogent reasons” have you presented? None of your “reasons” have made any sense so far. Most of your arguments in this thread have been so far off base that it is clear that you really don’t have a personal understanding of the issues here. You’re simply parroting the ignorant arguments you’ve read from Talk.origins without doing any of your own independent investigation of the matter. Again, if the dinosaur fossil remains really did have levels of C14 equivalent to a radiocarbon “age” of less than 30,000 years, you’re saying that this would be meaningless – – why again? What “cogent reason” have you offered thus far? No one but you, and I mean no one but you, questions that this range is well within the detectable range of AMS technology – not even close to the very very conservative 43.5 ka limit of the lab you referenced. Also, no one but you questions that mammoth remains dating at, say, 30,000 years of age is well within the reliable potential of AMS technology. However, when the non-fossilized portions of dinosaur bones also consistently date in this very same range (not one was over the 40 ka mark), regardless of the geographic locations from which they are collected, you cry “foul” and try every outdated nonsense argument in the book to see if something will stick? I’m sorry, but that just sounds desperate. The long and short of the matter is that you’re clearly mistaken when you say that essentially all fossils fall into the range that “all accredited labs would consider ‘infinite'”. That’s just not true since many Pleistocene remains have been dated by accredited labs at C14 ages well within the reliably detectable limits of AMS technology. Again, I repeat myself, your arguments suggest that C14 dating by AMS is essentially worthless beyond 10-20 ka or so. As you must know deep down inside, that’s utter nonsense. No one, not even someone like Erv Taylor himself, would make that claim! So, until you can make some reasonable sense here, there’s just no point for me to address your questions here (even though I do address them on my website dealing with C14 dating). @pauluc: @pauluc: Paul, apparently, you did not pay careful attention to the data that was gathered, because these C14 dates for dinosaur bones and other Phanerozoic organics are not anywhere near the limit of detection. Not one dinosaur bone has yielded a C14 age of 40,000 years BP or greater, and some are less than 25,000 years BP. As Sean has pointed out, contamination from natural sources should not produce this much radiocarbon. Nor should it produce such uniform results from so many different sites. If this were a single anomaly near the limit of detection, I would be happy to ignore it as you are doing. But that is not the case! There is a probably fictitious story about people who refused to look through Galileo’s telescope for fear of what they might see. And when you cling to your paradigm and dismiss this data with a wave of your hand, you are doing exactly the same thing. Perhaps there is a good scientific explanation within your paradigm for why dinosaur bones and other Phanerozoic organics contain so much radiocarbon, but you people need to come up with it. You need to explain logically why you will accept a C14 age of 25,000 years BP (well below the limit of detection) for a woolly mammoth, but not for a dinosaur. If you can actually do this, I will be glad to accept your explanation. But hand waving and ignoring the data will not do! Sean, when you analyze the literature, you seem to accept as gospel truth those papers that support your views, and dismiss all others that contradict your views. One example is the theoretical models that address the degradation or persistence of biomolecules (I say theoretical, because the conclusions are based on extremely short-term results extrapolated to extreme periods of time). Here, you seem to insist that the models are inviolable representations of reality, and trump any kind of empirical observations that might contradict them. So what do you know about the assumptions of these models? Are they accurate and do they hold in every situation? Clearly, they account for age, but do they assume that time is more important for degradation of biomolecules than specific environmental conditions? Are they based on data from benchtop experiments that employ potentially unrealistic conditions as proxies for time and degradation? Do they accommodate the possibility of factors that might slow down the degradation process, such as the stabilizing influence of close mineral association on molecules? Do they account for variation in water/humidity and thermal history? Do they rule out deamidation, strand breaks, backbone cleavage, post mortem modifications, abnormal cross-links, oxidation, and base or amino acid alteration and/or substitution that could affect the longevity of biomolecules? As you are well aware, Mary Schweitzer is making rapid headway in exploring the conditions that might substantially delay the degradation process that you seemingly regard to do be inviolable. Are you fully confident that her efforts are useless; that the models account for, or properly disregard, all possible sources of environmental variation that could affect the rate of decay? Perhaps you have expertise to invalidate her claims, for example, that the molecular structure of collagen and keratin could contribute to molecular preservation over deep time, and that iron might also stabilize organic molecules by forming protective surface nanoparticles and cross-links that help to “fix” the tissues. If so, where, specifically, is she wrong with her data-based interpretation that biomolecule degradation rates may be much more variable than the laboratory-based studies allow? And does it really help your (our) position to use the laboratory-based conclusions when they still allow for a far, far greater time frame for biodegradation–and the presence of soft tissue in dinosaur bones–than a few thousand years? I would be elated if Schweitzer was proven to be wrong in the direction she is going. However, your closed mind on this issue, quite frankly, is a genuine turn-off. I really don’t think you know what you are talking about (which, of course, is the exact language you apply to everyone who disagrees with you, and I expect it to come right back at me). Please tell us why the papers summarizing the laboratory-based “kinetic chemistry experiments” are to be believed on their own merit (apart from your bias) rather than the papers that challenge them based on actual findings in real-world environments. Is it at all conceivable, to you, that the laboratory-based papers are overly simplistic? Hey, I never claimed omniscience here. Perhaps Schweitzer will find the answer that solves all the problems with explaining tens of millions of years of soft tissue, protein, and DNA preservation! – as well as the high levels of radiocarbon that exists within those tissues! That’s certainly possible. I just don’t think it likely given what seems to be the weight of evidence, as far as I can tell, for right now. Of course, science isn’t about what might be found in the future. Science is about the best explanation given the evidence that is currently in hand. As far as the various factors that might impact decay over time, certainly various studies have taken many of these into account – to include temperature (which seems to be the primary factor in setting the rate of decay), as well as pH, amino acid composition of the protein, water concentration of the environment, size of the macromolecule, ionic strength of the environment, cross linking or covalent bonding within the molecules (as in the case of formaldehyde or iron preservation), etc. Could there be other as yet unknown factors that might contribute to protein/DNA preservation? Certainly! However, these have yet to be found as far as I’m aware – at least not to the point of explaining how tens of millions of years of protein/DNA preservation could tenably be achieved. Now, if you know of some logical reason why some particular factor should make the ancient preservations of proteins and/or DNA a no-brainer, by all means let me know. I’ll honestly look into it and, if it makes sense to me, I’ll say so. The same is true for explaining the source of the very high levels of radiocarbon that seems to be present within the soft tissues of all dinosaur bones examined thus far. If you know a reasonable solution to this problem for the mainstream perspective, please let me know and I’ll honestly consider it. I don’t think anyone can do better than that? – do you? Bob Helm: Perhaps there is a good scientific explanation within your paradigm for why dinosaur bones and other Phanerozoic organics contain so much radiocarbon, but you people need to come up with it. You need to explain logically why you will accept a C14 age of 25,000 years BP (well below the limit of detection) for a woolly mammoth, but not for a dinosaur. If you can actually do this, I will be glad to accept your explanation. But hand waving and ignoring the data will not do! Bob I appreciate your open minded attitude to data at the edge of acceptable scientific practice. I presume this means that you also accept the very conventional methods for dating dinosaur fossils as well. All of which suggest that these new data are suspect and quite divergent from earlier work including Schweitzer data that suggested soft tissue collagen sequences are much different to mammoth. that correlated C14 dating with DNA amplification of a 741 bp fragment of mtDNA you will see that amplification of DNA could be done in animals with C14 ages up to 45K in 56 of the 88 animals. I would accept these ages because of the corraborative evidence even through they may be incorrect to an order of magnitude in the upper range. There is no such confirmation for fossil C14 dating which I consider an artefact until you can give me convincing evidence otherwise. I am hardly ignoring the data I am taking note of the breadth of the data not fixating on a single collection of data reinforces my own personal prejudices. Data obtained under suspect conditions by withholding information and against the laboratory advice for use of the assay. That the samples were prepared by the requesters rather than the laboratory in order to preserve their true identity I would view as highly suspect. That they cluster in the range of coal petroleum and graphite suggests to me they are really no different to infinite age samples prepared by with a bit of modern carbon contamination. But of course I could be wrong and do not imagine I know all the answers nor that I can hope to have significant expertise in C14 dating. So, now its the “weight of evidence”? – regardless of what level of C14 might be found within dinosaur bones? Regardless of the level of C14 in these bones, even if it is essentially identical to the C14 levels found in the remains of pleistocene plants and animals, the “weight of evidence” tells you that there must be some explanation somewhere somehow for how so much C14 got into these bones! If it can’t be explained by in situ production by local uranium/thorium, then it must be some kind of “contamination” – which is what Erv Taylor argues by the way. Well, if it’s so clearly “contamination”, why don’t those “experts”, like Taylor, Southon, Schweitzer, and the like, actually test their own specimens? – using the “proper” techniques to avoid contamination? Because, like you, they already know the answer from the supposed “weight of evidence”. What is the “weight of evidence” by the way? Here we have dinosaur soft tissues with sequencable protein fragments and even DNA fragments – a discover that was thought to be absolutely impossible not too long ago according to the experimental evidence of the kinetic chemistry of protein and DNA decay. Now we have the discovery of significant amounts of C14 in the non-fossilized remains of these dinosaurs – which is also inconsistent with the notion that they are actually many tens of millions of years old. And, we have evidence of their catastrophic burial in a watery catastrophe of magnificent proportions. Were then is the “weight of evidence” tending here? What do you have left aside from the rather questionable assumption upon which other forms of radiometric dating are based – like K-Ar or Ar-Ar dating, etc? Bob Helm: …. but you people need to come up with it. Bob. No that is not how science is done. it is not “us people” by which I presume you mean scientists who accept the evidence for the current model need to come up with an explanation of every aberrent observation obtained by very doubtful means. Those proposing that the established data and paradigm for the age of dinosaurs is incorrect need to provide the convincing data and explanation and propose an alternative model. God did it has never been sufficient direct explanation for Newton or any scientists since then. Sean Pitman: No one but you, and I mean no one but you, questions that this range is well within the detectable range of AMS technology – not even close to the very very conservative 43.5 ka limit of the lab you referenced. It is not a question of the analytical range of AMS it is a question of the validity of the measurement of the biological sample. Show me the data that any reputable C14 lab will accept and validate the measurement of C14 in a dinosaur fossil and I will accept that such measurement is valid. I have looked at the sparse literature available on dating of ancient carbon and tried to understand some of the literature but quickly realize I can never spend the time necessary to become expert on C14 dating and read the original literature. In the end I can only decide who do I trust. Part of that is deciding who has a vested interest, who understands the assay and its limitations and who would I accept as having some expertise beyond my very limited knowledge. It does not help that you are so patronizing to Taylor and Gove people I consider to have real expertise. It doesnt help that you argue for the 30000 year dates for fossil dinosaurs is really correct and imply that mammoth and dinosaur were contemporaneous with man but are not prepared to actually present a coherent model to account for that observation and reconcile it with your 6000 year history for life on earth. @Sean Pitman: I have a lot to say but in the 21st century it has no evidentiary value as science unless I publish it in the peer reviewed journals. That is what will endure as my comments on science. This blogging is nothing except a mechanism for me to collect my thoughts on subjects on which I do not consider myself at all an expert. The first step in civilization in the fertile crescent was the storage of grains so that there was development of specialization and rise of a class of artisans that did not have to spend all their time working the fields. I know it is an American tradition encapsulated in Thoreau’s Walden ponds to be the self sufficient know-it-all (at least all that matters) pioneer but snake oil salesmen are also an American tradition that is alive and well. The US may have the best science in the world but it also has the best quacks. In the rest of the world and indeed in some places in America we accept that civilization advances most rapidly when we accept some of the traditions and knowledge of our cultures and advance from that footing rather than continually dig up the past with the ililusion that we alone can know it all and expertise is for the feeble minded. Scientists have a tradition of looking further because they stand on the shoulders of giants. Yes indeed I simply dont know but I do know that I dont know and am happy to admit it and accept the help of experts. My task is simply to distinguish the scientists from the charlatans whether published or not. That’s great for you, but not very helpful to me. @Sean Pitman: What would be helpful for you? An actual argument that makes sense beyond telling me that “the experts” disagree with me. I already know that. Such arguments form authority alone simply have no useful explanatory value when it comes to answering specific questions. This Sean is a complete lie. There has never been any sequencable DNA found in dinosaur fossils. If you read Schweitzer you will see that there has been at best a few bases of DNA that binds to anti DNA antibody. This is a far cry from a 174 base amplifiable fragment from nominally 45k mammoths. What I said is that the protein fragments were sequenced by Schweitzer (actin, tubulin and histone4 to be specific). I didn’t intend to suggest that Schweitzer sequenced the DNA fragments as well – she didn’t. 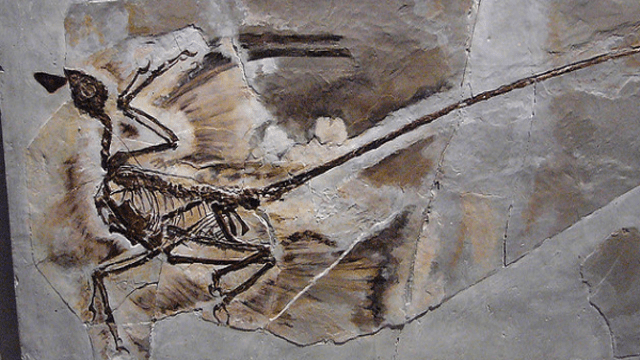 What she demonstrated was evidence of DNA fragments, by various techniques, within the nuclei of the osteocytic cells of dinosaurs, but didn’t sequence these DNA fragments. Paul, all of the individuals who have looked at this data, including those at the C14 lab in Georgia, admit that they do not have a valid explanation for it because of the precautions against contamination that were used. But the work of Thomas Seiler and the Paleochronology Group is just the tip of the iceberg. C14 analysis of dinosaur bones is going to continue, and in light of this, two scenarios could be forthcoming: 1) It is possible (though I personally think it unlikely) that conclusive evidence will emerge for modern carbon contamination. 2) It is also possible that C14 dates in the same range will continue to be obtained for dinosaur remains without any evidence for modern carbon contamination. I assure you that if contamination can be proven beyond dispute, I will withdraw my support for this data. However, suppose the second scenario plays out. What if every precaution against contamination continues to be taken and we eventually have scores or even hundreds of C14 dinosaur dates that are well below the 43.5 ky limit of detection? At this point, would you be willing to at least give some consideration to the validity of this dating? Nor is it for me, Paul! In principle, I agree with you. But it certainly would not hurt if those who doubt this data decide to do their own research. Even Mary Schweitzer did not categorically rule out C14 dating of her specimens. She simply replied, “not now.” Mary Schweitzer is a Christian (although a theistic evolutionist), and I think she is more willing to think outside the box than many others. Perhaps she will eventually change her mind. In summary, I agree that more work is needed in this area, and let the chips of evidence fall where they may. But I do plead for open minds. Please, when evidence becomes weighty, let’s not close our minds to it! Please, if you feel the evidence becoming weighty, be willing to reconsider your paradigm. One more thing. You asked about 30 ky C14 dates for dinosaurs and a chronology of 6 ky since creation week. Paul, on this matter, I am only giving you my opinion. I am not speaking for Sean or anyone else who posts here. First, I do not subscribe to a rigid Ussher chronology for several reasons: a) Although I do not have the time to discuss this in detail, I am intrigued by the possibility that the Israeli Exodus from Egypt occurred a millenium earlier than is commonly assumed (as proposed by Dr, Gerald Aardsma and others). If a mid-third millenium Exodus is accepted, the Biblical chronology is pushed back by about 1,000 years. b) The Septuagint adds about 1,600 years to the Biblical chronology, and its chronological data ( which was accepted by the early church) may be correct. c) I am not persuaded that the genealogies in Gen 5 and 11 are chronogenealogies, as some have argued. In other words, they may simply be tracing a line of descent rather than giving every name in the genealogy. The fact that the Septuagint adds the name Cainan in Gen 11:12-13 (omitted in the Masoretic Text) and the fact that Gen 5 and 11 seem to be stylized around the number 10 suggest as much. So I am willing to accept a longer chronology than 6,000 years. Even Ellen White sometimes said, “more than 6,000 years.” Second, I suspect that the C14/C12 ratio in the antediluvian atmosphere was different from today’s ratio. If the antediluvian ratio was smaller than today’s ratio, it would result in antediluvian C14 dates that are excessively old. So I believe that a longer Biblical chronology and excessively old C14 dates both come into play here. Again, this is my opinion. Some people strongly defend the Ussher chronology, and there may even be others who are willing to extend the Biblical chronology to 40 ky. Personally, I doubt both of these extremes, but I am only speaking for myself. I would also agree that the significantly greater amounts of C12 in the biosphere in the pre-Flood world would make C14 dates appear quite a bit “older” based on today’s C14/C12 ratio. Paul, I am aware of the conventional methods for dating dinosaurs. They involve measuring radioactive isotope ratios in igneous rocks that are located near certain dinosaur fossils and then applying the resultant dates to all dinosaur fossils via the principles of stratigraphy. I admit that I do not have an absolute answer to this data, just as you do not have an absolute answer to the C14 data for the unmineralized portions of the dinosaur fossils themselves. However, you hypothesize that the C14 data has been contaminated by modern carbon, and I likewise hypothesize that the igneous events responsible for these rocks did not completely reset the mother/daughter isotope ratios to zero. In other words, these isotope ratios may be partly reflective of radioactive decay that occurred in more ancient rocks that existed prior to the flood and prior to creation week. There is data from certain sites supporting this hypothesis, but you can also probably come up with objections to it, just as I can come up with objections to your hypothesis regarding modern carbon contamination of the C14 data. In other words, neither of us have a final, absolute answer to these issues. Basically, we are faced with radiometric dating techniques that are yielding wildly divergent data. The radiometric dating of the igneous rocks is suggesting that dinosaurs lived 65-230 million years ago, while the carbon 14 dating of the fossils themselves is suggesting that dinosaurs lived only thousands of years ago. Clearly, something is wrong here! Either one set of dates of the other set of dates is invalid! So let’s think about this a little more. It would seem that the carbon 14 technique should be the most accurate, since it dates the fossil itself rather than a rock near the fossil – unless there is a problem with the methodology, such as contamination. Also, our presuppositions are going to affect which set of data we accept. We have to be honest Paul. Neither of us can completely overcome prejudice. I believe that the weight of evidence from comparing God’s two books – scripture and nature – favors the creationist/catastrophist paradigm for natural history, whereas you favor the Lyellian/Darwinian paradigm. This colors which set of radiometric data we accept. Yes, I favor the carbon 14 data for the fossils, while you favor the other radiometric data for the igneous rocks. The best we can do is continue to weigh both lines of developing evidence and be open to whichever direction the weight of evidence eventually points, even to the point of changing our paradigm. Fair enough? And a good general overview of the issues in play here. @Sean Pitman: Sean, I believe that the evidence against contamination with modern C14 in these tests on dinosaur bones is already very strong. But I said what I did for our friend Paul’s benefit. As more C14 tests are carried out, if extreme precautions are taken and the same results continue to be obtained, the argument for contamination with modern carbon will no longer simply be unlikely. It will become ridiculous. This all sounds fine and it appears you are open to change your mind if the data indicates you should. I actually dont think you would for I think in every Christian there lurks a little bit of Kurt Wise. I have been there with literal creationism as an undergraduate student but I no longer consider that a tenable position. I remain a creationist for that is a Christian doctrine but in terms of a theory of creation based on miracles I am no longer there. I have no issue with long ages for the earth or of life on it. That is not informative for my life of faith as a Christian. For you it seems it is, So I have serious doubts that a little bit of carbon or argon dating would make any difference when the bulk of science when viewed objectively says that the earth and life are very old. You have already produced lots of argument from the bible for a scientific position (extraordinary assumptions about the anteluvian atmosphere, cosmic radiation levels and the rate of radioactive decay) to negate obvious scientific data obtained by scientists with no axe to grind who are simply following the scientific tradition. From my perspective I think there is only the appearance of equipoise here. As Ervin says C14 dating on fossils is silliness to those that do this for a living. Your position of thousand year old dinosaurs only appears tenable if you disregard all accepted paleontological understanding including stratography and radiometric dating. I am happy for you to do that based on a certain reading of the bible but as you concede that is not really science. Like I told Erv, everyone thought Mary Schweitzer was “silly” too when she first published the outlandish notion that true elastic dinosaur soft tissues, blood vessels and blood cells, sequencable proteins, and even fragments of DNA existed within dinosaur bones. And, it seems quite likely that significant quantities of radiocarbon also exists within these bones that cannot be tenably explained by either in situ production or contamination (given its rather uniform existence so far). But, you don’t care about such evidence since you believe that other forms of radiometric dating are so reliable – despite the many assumptions associated with what the original “parent/daughter” ratios were and any changes in these ratios over vast periods of time not related to radioactive decay (i.e., various forms of contamination or loss of various isotopes over time). You also fail to recognize the many features of the geologic column and fossil records that are much more consistent with a catastrophic model of origins and you fail to recognize the severe limitations of the Darwinian mechanism of random mutations and natural selection. You place your faith in the neo-Darwinian claims almost exclusively on the authorative statements of mainstream scientist who are largely secular in their thinking with almost no personal understanding of many of these topics. I would recommend, therefore, that you do a bit more personal investigation into these issues before making such firm decisions as to what is more likely right or wrong or with regard to the nature of the Bible or what neo-Darwinism means, philosophically, for the natural of God and the claims of Christianity at large. As an aside, there is very good evidence that the pre-Flood world (before the Tertiary) had a great deal more Carbon 12 in the biosphere as compared to today’s level of C12. This isn’t just some hunch. It is in fact based on real scientific evidence. Sean Pitman: You place your faith in the neo-Darwinian claims almost exclusively on the authorative statements of mainstream scientist who are largely secular in their thinking with almost no personal understanding of many of these topics. How many times do I have to say it. I do not place faith in neo-Darwinian claims nor in your jaundiced view of the world of science. I appreciate the process of science and am an active participant. When you say you investigate things for yourself I understand that is a euphemism for cherry picking the literature to support your preconceived view precisely what you are accusing scientists of doing in this essay. You have never done any actual research or experiments on any of the topics on this site. You just selectively pick up the work of others. Clearly you have a CV that would suggest you could but you do not. of your lack of appreciation of the process. All science is secular in it thinking. To somehow pretend there is some other kind of science whether Adventist jewish Christian or islamic science is astonishing. Bottom line I am sceptical of everything but trust and actively participate in the process of science and trust my colleagues that are actually engaged in it as they speak in their area of expertise. As in western common law scientists are honest until they are proven not to be. For me proven not to be however can be a fairly low bar. Again, like I said, your positions are almost entirely based on your trust in the interpretations of mainstream scientists of the generally available data. One does not have to do the original research before one can interpret the data presented in very different ways compared to those who actually obtained the data. You, however, refuse to do this until the scientists themselves change their own minds. I’m sorry, but that mindset simply isn’t very scientific. Science is supposed to be a “culture of doubt” – not a culture of blind faith. You really should at least try to do your own thinking, comparing all of the evidence available to you for yourself. 1 – Those who believe, like Dr. Pitman, that God and creation are real because they think for themselves and can see that the clear weight of evidence can only lead to this conclusion. This is a vanishingly small crowd, even within Adventism. 2 – Those who believe, like Dr. Pitman, that God and creation are real, but are fideists because they are impressed by the Holy Spirit when they read God’s word, and therefore their “faith” is as useless as belief in the Flying Spaghetti Monster. This happens to be a pretty big crowd within Adventism and Christianity, but they are hopelessly in left field. 3 – Those who reject a recent creation, regardless of whether they believe God is real, because they base their views on those of others and cannot think for themselves. Even if they do believe in God, they really can’t be Christian at all. You and billions of others are in this crowd. You should feel at home here. @Sharon: I don’t completely agree Sharon. The faith of the fideist is still saving faith that lays hold of Jesus as a personal Savior. And it is possible to have this kind of faith even without believing in a recent creation. Remember – Jesus said that even faith the size of a mustard seed counts. The problem is that Christianity loses its appeal when the rug of evidence is pulled out from under it. For the fideist and the theistic evolutionist, evangelizing intelligent, thinking people is a hopeless task. Without apologetics, evangelism is dead. It is interesting that every denomination that has bought into neo-orthodoxy (fideism) and/or theistic evolution is dying. It cannot be otherwise! @Sean Pitman: I agree. Scientific revolutions have often occurred because one person or a small group of people doubted the consensus of the scientific community and set out to falsify it. Sean Pitman: But, you don’t care about such evidence since you believe that other forms of radiometric dating are so reliable – despite the many assumptions associated with what the original “parent/daughter” ratios were and any changes in these ratios over vast periods of time not related to radioactive decay (i.e., various forms of contamination or loss of various isotopes over time). I use my brain and my senses. I do not accept that radiometric dating is without its issues but that is not something that those in the field do not acknowledge. I however have been to the bottom of the grand canyon and as a layperson observed enough limestone rocks to question a 6000 year chronology. I find it astonishing that you would believe that more than 5000 feet of geological column including limestone and a couple of eolian depositions would be placed there in one year. I am with Kurt Wise on that one. If you accept the literal reading of the bible then it is best explained by God did it by miracles not by process. If you accept one miracle for life then why not for the substance of the earth complete with embedded fossils. That is the most logical approach but it is not scientific as almost all philosphers of science would define it as based on natural process. You cant have both literal reading of the bible and a scientific explanations by process. Gap theorist to me are neither fish nor fowl. They are stuck between acknowledging old ages for some of the creation because of the science and incredibility of all geology being recent but affirming a recent creation of life and sustaining it all by a slippery biblical literalism that is not faithful to the Fundamentals. I accept a God of process as the best explanation which does involve accepting standard chronologies. Having done so I have to say I was a little skeptical of Mary Schweitzers original observations on fossils. That she has now presented her data in the only place that counts the peer reviewed scientific literature I think it is likely she is right. But I accept her observations but interpret it like she does as indicating preservation over much longer times than previously understood. As I’ve explained to you before, the evidence that is actually in hand does not really suppose the “eolian” origin of any of the layers within the Grand Canyon. The Coconino sandstone, for example, shows many features that are much more consistent with deposition by water. As far as the “substance of the Earth”, I’m fine with it, as well as the universe itself, pre-existing “creation week”. It is just that the basic material of the Earth doesn’t include fossils – which are contained within sedimentary rock. This sedimentary rock is much more reasonably explained by a recent catastrophic model of origins that is very much in line with the Biblical description of a Noachian Flood. Also, as mentioned before the C12 levels before this Flood would have been much much higher in the biosphere than they are today (which would make pre-Flood organisms appear to have much older radiocarbon ages compared to their true ages). Gap theorist to me are neither fish nor fowl. They are stuck between acknowledging old ages for some of the creation because of the science and incredibility of all geology being recent but affirming a recent creation of life and sustaining it all by a slippery biblical literalism that is not faithful to the Fundamentals. I accept a God of process as the best explanation which does involve accepting standard chronologies. Having done so I have to say I was a little skeptical of Mary Schweitzers original observations on fossils. That she has now presented her data in the only place that counts the peer reviewed scientific literature I think it is likely she is right. But I accept her observations but interpret it like she does as indicating preservation over much longer times than previously understood. Which is itself a conclusion that flies in the face of the weight of scientific evidence that is currently in hand regarding the kinetics of the decay of soft tissues, proteins, and DNA. 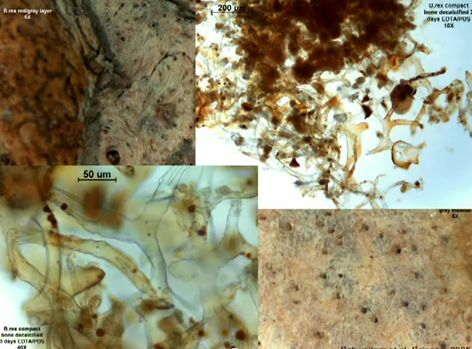 Also, there is very good evidence, so far, for the existence of non-contaminant C14 in these dinosaur soft tissues. This, together with the catastrophic evidence for the formation of the geologic column strongly favors the young-life position – not the mainstream secular position on the origin of life on this planet. Finally, as far as Kurt Wise is concerned, I’m not a fan of his fideistic faith – as you well know. For me, it is more honest to go were one thinks the evidence itself is actually leading. I think that is what God Himself would prefer we do. Sean Pitman: Finally, as far as Kurt Wise is concerned, I’m not a fan of his fideistic faith – as you well know. Hey Paul, you apparently have the company of one very well-respected creationist. Fideists unite! I appreciate much of Kurt Wise’s work in geology and paleontology, but I don’t completely buy into his philosophy. I am a young life creationist (different from Kurt Wise) because I honestly think both the scientific and theological evidence points in that direction, and recent scientific discoveries are actually bolstering my confidence in YLC. Let me explain where I am coming from. As a child, I developed a fascination with dinosaurs after visiting the Sinclair dinosaur exhibit at the World’s Fair at age four. And in my childhood immaturity, I actually bought into theistic Darwinism because that’s what the books on dinosaurs, ancient man, etc. presented, and I didn’t know anything else. Also, about 25 years ago, I gave some serious consideration to progressive creationism, but I decided against it. And my decision was not merely on theological grounds or because it was contrary to what Ellen White said. There are too many logical and scientific contradictions in progressive creationism. It is not a well thought out paradigm. But hold on Paul. You also claim to be a Christian, and in spite of our differences, I affirm you as my brother in Christ. But when you say that a little bit of Kurt Wise lurks in every Christian, are you including yourself in that statement? Wow, there is a lot to respond to in this statement. First, please be careful about what you assume I am advocating. I have said nothing about cosmic radiation, and my only comments about the rate of radioactive decay are to affirm its stability. I have never suggested a change in the decay rate. Second, I have discussed careful exegesis of Gen 1, but my discussion of scientific issues is usually based on data presented in accepted scientific literature and presentations. For example, the data on radiocarbon in dinosaur bones did not come from some crackpot journal; it was presented at a very mainstream geophysics conference in August 2012. Third, I’m not sure what you consider “obvious scientific data,” but I have no desire to reject what is truly obvious in science. However, when certain assumptions in science do not make sense to me, I am willing to think outside the box and go against the dominant paradigm. That is not anti-science; that is how science advances. Let’s take an example that has nothing to do with the Bible or theology – dark energy. In recent years, the majority of cosmologists have bought into this concept, although there is still a minority who reject it. Now I am certainly not a cosmologist or astrophysicist, but as an interested “lay” observer, I still have my doubts about dark energy because it is messy – it seems to go against Occam’s Razor. Perhaps dark energy is valid, but Dr. David Wiltshire’s timescape cosmology makes a lot of sense to me because it proposes what seems like a valid alternative to dark energy and the supposed acceleration of the universe. In timescape cosmology, the universe is precisely balanced between continued expansion and collapse, and dark energy is a relativistic illusion, which seems more in line with Occam’s Razor. Again, I am not a cosmologist or astrophysicist, but that is my current very lay perspective on this matter. In the same way, I believe that there are many valid scientific objections to the modern application of the theories of Lyell and Darwin, and recent discoveries are adding to these objections. Perhaps I can see these objections more clearly because of my perspective on Genesis, but I cannot envision how these objections would disappear if I changed my perspective as you did. Fourth, I believe in an orderly universe, and I am not looking for miracles under every bush. But as a Christian theist, I do not reject miracles either. What about the origin of the universe Paul? Do you think there was anything miraculous about that? Perhaps I should also define what I mean by “miracle.” For me, a miracle is not magic. A miracle is simply an unexplained event that originates with God and that can strengthen one’s faith in God. From the perspective of God’s greater intelligence, a “miracle” is completely logical, but from the perspective of our limited intelligence, it cannot currently be explained. That doesn’t mean there is no explanation; it simply mean that our current knowledge is not great enough to understand it. Fifth, you were once what you term a “literal creationist,” but why were you a creationist? Was it because you had been persuaded by evidence or because you were brought up that way? I suspect it was the latter and that you really did not have a carefully thought out creationist model of natural history in mind when you rejected “creationism.” With that said, I believe you are a kind, honest, and fairly open-minded person, and I enjoy our discussions. Also, as I have said, if we can take off our blinders, I actually think the objective evidence for YLC is getting stronger, and I hope that one day, you will be persuaded by the evidence to change your mind again and adopt a more comprehensive creationist view than you once held. With that said, I am also realistic, and I don’t expect to get you over the hump with my brief posts because that would take careful study of the pertinent issues. But for now, I am hoping to crack your mind open maybe 5-10% to this proposition. That’s all I am hoping for at the present. Paul, I do not concede “that it is not really science,” although I do gladly concede that it is thinking outside the box. That is where we differ! It is so easy to make sweeping generalizations without pinpointing your scientific objections and really evaluating them. But making sweeping generalizations and quoting the mantra about “overwhelming evidence for evolution” will never persuade me because it is so vacuous. I believe the term in logic is “elephant hurling.” If you want to be persuasive, you need to present your objections logically. So far, I have not seen you do this in a way that is very convincing. And as far as radiometric dating is concerned, C14 dating is radiometric dating! In fact, it is usually deemed the most accurate form of radiometric dating because it is dates organic artifacts/ fossils themselves. No other form of radiometric dating can accomplish this. For now, you are welcome to present your modern carbon objection to the C14 dating of dinosaur bones, although I consider it very doubtful. But if your hypothesis remains unproven, it will eventually become completely nonsensical, at which point, I think you logically should accept this C14 data. On the other hand, if it should be proven, I promise to change my perspective on this issue. As far as stratigraphy is concerned, it often needs to be re-evaluated from a catastrophist perspective. But if valid reasons can be given for such a catastrophic re-evaluation, this is not anti-science; this is thinking outside the box – especially if it explains scientific phenomena better than the uniformitarian perspective. Sean Pitman: As I’ve explained to you before, the evidence that is actually in hand does not really suppose the “eolian” origin of any of the layers within the Grand Canyon. The Coconino sandstone, for example, shows many features that are much more consistent with deposition by water. Indeed these are his most cited published works according to Scopus. That the observation of track prints marine environment may have been deposited in an underwater water environment does nothing to explain why the 5000 foot sediment found at the Grand Canyon was established during the flood. I may not be able to think for myself but I have walked along the sea shore and found that footprint fast disappear on the seashore where there is wave activity and fare little better in shallow esterine environments. That there could be the postulated average daily deposition of 13 feet of sediment during a violent flood is I am afraid to say something I cannot imagine. It seems logically inconsistent that you could have both preservation of underwater track and a short deposition time in a violent flood. I find it astonishing that you would believe that more than 5000 feet of geological column including limestone and a couple of eolian depositions would be placed there in one year. I have also been to the Grand Canyon, and while I did not go all the way down, I have hiked a good portion of the Bright Angel Trail. Honestly, I was not astonished at all by the thought that more than 5000 feet of geologic column could be set in place in one year. In fact, that entire canyon practically screamed “catastrophe” at me. Have you ever observed the effects of a local flash flood? Let’s carry that a step further. I have also camped in the bottom of another great canyon – the Grand Coulee in the American state of Washington. There in eastern Washington are a whole series of canyons that everyone now agrees are the result of a regional flood during the ice age – a much larger catastrophe than a local flash flood, but still far removed from a worldwide flood. Paul, the Grand Coulee is a mile wide and 900 feet deep – carved through solid basalt, perhaps in a few days. A huge amount of sediment was removed from that region, and some of it was deposited downstream in layered deposits similar to what one observes at the Grand Canyon, but on a smaller scale. In light of these facts, I fail to grasp how you could imagine a flood of worldwide proportions not depositing 5000 feet of sediment in certain areas. We aren’t talking about a big rainstorm! We are talking about a tectonic event so violent that it split the single antediluvian supercontinent up into today’s seven continents. How could a tectonic event of that magnitude fail to deposit 5000 feet of sediment? It boggles my mind that you find that astonishing! As far as the Coconino Sandstone is concerned, I realize that majority opinion labels it as eolian, but there is also a minority opinion (not just in flood geology) that it resulted from an underwater sand wave. Since both opinions exist in geology – having been published in peer reviewed journals, and since none of us were alive to observe its deposition, don’t dig your heels in too hard in defense of its eolian origin. I have no desire to debate whether Gen 1:1 is an independent or dependent clause. I am simply observing that if it is an independent clause, there is a gap in verse 2, but if it is a dependent clause, the gap disappears. With that said, why should a gap be viewed negatively if it really exists in the text? Furthermore, why should it be considered strange that some natural phenomena are old, while others are young? And how is this unfaithful to the Fundamentals, whatever they are? The YLC position is not based on some contrived eisegesis. It is derived from the most straightforward reading of the Biblical text. If you doubt me, I encourage you to read the commentaries on Gen 1. Most commentators, both liberal and conservation, see God as beginning with something that was already sterile and chaotic, and molding it so that it can sustain habitation. Bob Helm: Third, I’m not sure what you consider “obvious scientific data,” but I have no desire to reject what is truly obvious in science. However, when certain assumptions in science do not make sense to me, I am willing to think outside the box and go against the dominant paradigm. That is not anti-science; that is how science advances. Not really. science advances when a person does the experiment and reports the results in the peer reviewed literature where at a minimum it has been critiqued to reviewers and the editors of the journal. Whatever critiques of the science I may voice outside those channels and however many novel ideas and thinking outside the box I may do they are ephemoral unless they are accompanied by an hypothesis or the proposal of an explanation that makes sense of what we think does not makes sense, and translates into an experiment that derives new data. That is science as understood by scientists. @pauluc: I was not trying to outline all the steps that a scientist takes in obtaining and reporting something new. I was simply mentioning that in order to develop a new hypothesis or theory, a scientist needs to do some thinking that is outside the box. A good example of this would be the work of Einstein on special relativity. In order to develop that theory, he had to think outside the box regarding light and the supposed luminiferous ether. pauluc: If you accept the literal reading of the bible then it is best explained by God did it by miracles not by process. If you accept one miracle for life then why not for the substance of the earth complete with embedded fossils. That is the most logical approach but it is not scientific as almost all philosophers of science would define it as based on natural process. It is astonishing to me that you would compare the fantastic complexity of life with the simplicity of the substance of the earth. You are comparing “apples and oranges.” As time passes, certain processes are inevitable, but that does not invalidate an appeal to a designer for phenomena like life that are too complex to be explained by processes. Furthermore, the Bible never denies the reality of natural processes, but it does argue that reality involves something more than this. It does picture a God Who intervenes in nature on certain special occasions. Bob Helm: We are talking about a tectonic event so violent that it split the single antediluvian supercontinent up into today’s seven continents. How could a tectonic event of that magnitude fail to deposit 5000 feet of sediment? It boggles my mind that you find that astonishing! I am not sure you appreciated my point. I appreciate that a flash flood can deposit a lot of sediment. My concern is that Leonard brand has shown that the coconino layers whether eolian or underwater sediment have tracks made by moving animals. Tell me how tracks could be made in a tectonic event with the violence you describe such that 13 feet of sedement would have to be deposited in layers every day? Please tell me where you can find deposition in flash flooding with preservation in the sediment. Track requires slow deposition of the sediment to allow for preservation of the tracks without disturbance. What is astonishing that you would expect track preservation and sedimentation at a rate of 13 feet a day. How do you imagine any well formed layering of sediment can occur in a deposition of 1 inch every 10 minutes. What volume of water do you think you need for an inch of sediment over areas of thousands of square kilometers. Where the scientific model for the flood that provides that sort of detail. After deposition you of course have to have a new source of water bearing sediment thousands of kilometers away. What is the flow rate of the water carrying 13 feet of sediment per day from a very conservative 1000 kilometers away? This means that to deposit 13 feet a day you would require water to a depth of between 100-433 feet and to replace this on a daily basis assuming that there will be complete sedimentation of that water in 24 hours. If it comes from 1000 kilometers away that will correspond to 11.5 meters per second. This is 25 miles per hour. It is much faster than a tsunami once it hits land and nothing like a gentle tidal recession. Of course if you accept miracles as the best explanation there is no problem. Got deposited this 5000 feet of sedimentary layers. Doest explain why some is shale some lime stone some sandstone. Why so much difference in a 1 year deposition. Repeated waves of sediment could be carried by tidal actions as well as massive repetitive tsunami-type waves which traversed the entire globe over and over again. Each one of these sediment-baring waves would have laid down another layer quite rapidly – and from different directions given that multiple separate impact events took place during this time (accounting for the different types of sedimentary layers coming from different regions of the globe). This also means that there would have been periods of time when the freshly-deposited sedimentary layers would have been exposed to air (allowing for raindrops, dinosaur eggs that were very hastily laid, sometimes on multiple layers within the same hatch of eggs, and the like to be finely preserved). As the next wave started to return to such an area, the water level would have gradually risen at first, filling in these delicate trace fossils without destroying them. Also, underwater turbiditic flows of sediment are known to be able to cover and preserve fine details along the surface of the underlying soft sedimentary layer. These concepts are not nearly as far fetched as trying to explain the Coconino as a long-standing desert environment – where the creatures only walked uphill all the time and where no traces of plant material existed… etc. @pauluc: Sean has provided an excellent reply above. I think you are having a problem visualizing the great complexity of a catastrophic global flood because there is no exact parallel to it. And no, I am not invoking miracles. Although God certainly used the flood, I believe that it can be studied as a natural phenomenon which was initiated by asteroid impacts and consequent runaway subduction of the sea floor. @pauluc: A few more points. Be aware that not all the rocks visible at the Grand Canyon were laid down by the flood. I believe that the Precambrian rocks in the inner canyon, below the Great Unconformity, are pre-flood and probably pre-creation week. I also believe that the Great Unconformity marks the onset of the flood. Sean Pitman: Repeated waves of sediment could be carried by tidal actions as well as massive repetitive tsunami-type waves which traversed the entire globe over and over again. Each one of these sediment-baring waves would have laid down another layer quite rapidly – and from different directions given that multiple separate impact events took place during this time (accounting for the different types of sedimentary layers coming from different regions of the globe). This also means that there would have been periods of time when the freshly-deposited sedimentary layers would have been exposed to air (allowing for raindrops, dinosaur eggs that were very hastily laid, sometimes on multiple layers within the same hatch of eggs, and the like to be finely preserved). As the next wave started to return to such an area, the water level would have gradually risen at first, filling in these delicate trace fossils without destroying them. Also, underwater turbiditic flows of sediment are known to be able to cover and preserve fine details along the surface of the underlying soft sedimentary layer. And of this hypothesis there is scarcely a scrap of experimental evidence and simply is a product of the your superior knowledge and intellect alone. Tell me a few parameters that would persuade me that it is feasible both to have delicate tracks in water shallow enough for a salamander or similar to make foot tracks. What do you think was the distance over which the sediment was transported before deposited. How much sediment was there in the water? So how much water had to traverse a given point to build up 13 feet of compressed sediment every day for a period of 1 year or you can tell me the time over which this occurred. Where is your computer modelling for such a claim. Which of the meteor strikes specifically do you believe caused the flood catastrophe. Presumably that in Yukutan, Wolf creek in Australia and major Russia crates would be included but what about the sediment in which they impacted. Can you provide evidence that all these impacts occurred in the the precambrian rock and the crater was filled with a uniform sediment. Or perhaps you can tell me other asteroid impact sites that show exactly the geological features you would suggest based on a precambrian layer impact. Perhaps their lack of visibility is actually the proof. A time honoured tradition. Oh please. There’s lots of evidence to support the catastrophic concept of the formation of the layers surrounding the Grand Canyon. At least 30% of the Grand Canyon layers are thought to be turbidites and up to 50% of the world’s sedimentary rocks are thought to be turbidites. Turbidites can flow hundreds of kilometers – even over very shallow gradients (1:1000). The “stacked forests” in Yellowstone were also buried by turbiditic mud flows coming from different directions over a short period of time. And turbiditic flows can form very very fast – and thick. One turbiditic flow traveling at up to 100 km/h broke 12 underwater telegraph cables as it stretched from the coast of Grand Banks, Nova Scotia to Europe (1929). These cables were miles apart and snapped in succession one after another as the turbidite spread its layer across the ocean floor. The layer it laid down was hundreds of meters thick. As far as impact craters are concerned, I’m not sure what you’re asking for? These objects are found throughout the geologic column, even in Precambrian layers. Dozens of impact craters have been found from the pre-Cambrian to Pleistocene throughout almost every layer of the geologic column. The problem for uniformitarian thinking, of course, is that there simply aren’t the numbers of meter impacts that would be expected if the geologic column were truly as old as neo-Darwinists claim. It seems like these meteorites are more difficult to find than expected if the geologic column does indeed represent hundreds of millions of years of elapsed time. The current rate of meteor impact over the entire globe (for meteorites greater than 100g in size) is about 14 per 10 km^2 per year. That’s 1,400 million meteorites per 100 million years (i.e., 140 million kilograms or about 280 million pounds) per 10 km^2. You’d think then that they’d be a bit more common. But, they’re not. For example, looking at the layers in the Grand Canyon in particular, according to mainstream geology, it would take an average of 100 million years to deposit about 100 feet (~30 meters) of sediment. Sandstone weighs about 2,323 Kg/m^3. There are 3 billion cubic meters in a 30 meter layer of sediment covering 10 km^2. That’s a total weight of almost 7 trillion Kg. Of this, 140 million Kg should be made up of meteoric material ( 0.002%). Another way to look at the same problem is that there should be enough meteoric material to make up about 60,000 cubic meters of sediment in 100 million years (0.002%). It seems that rapid decay would have to be very rapid indeed – especially since far more delicate fossils are discovered far more commonly than are meteorites within the geologic column and fossil record. As far as being responsible for the Noachian Flood, it wouldn’t take much. A few moderately sized meteors is all it would take to significantly shake up this planet, break up the thin crust, and cause worldwide flooding of Noachian proportions.